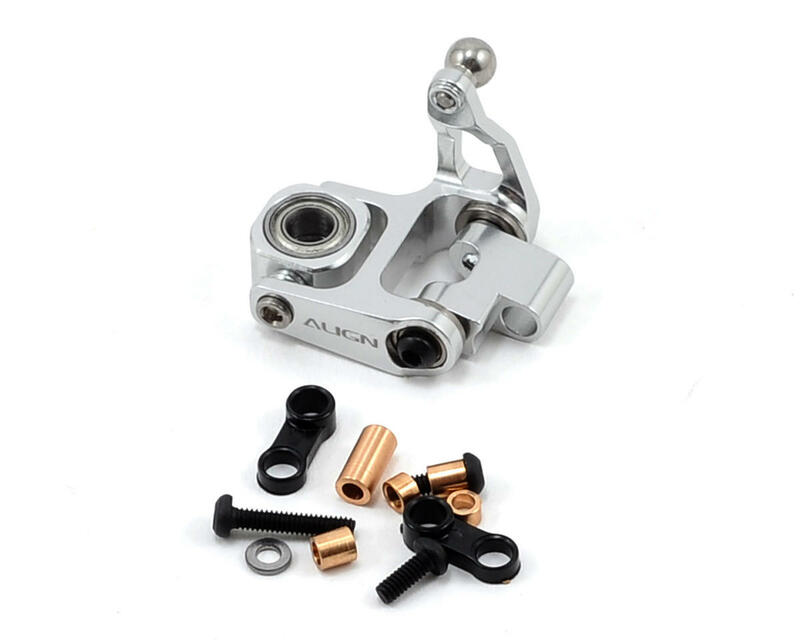 This is a replacement Align 250 Metal Tail Pitch Assembly, and is intended for use with the Align T-REX 250 Pro helicopter kit. 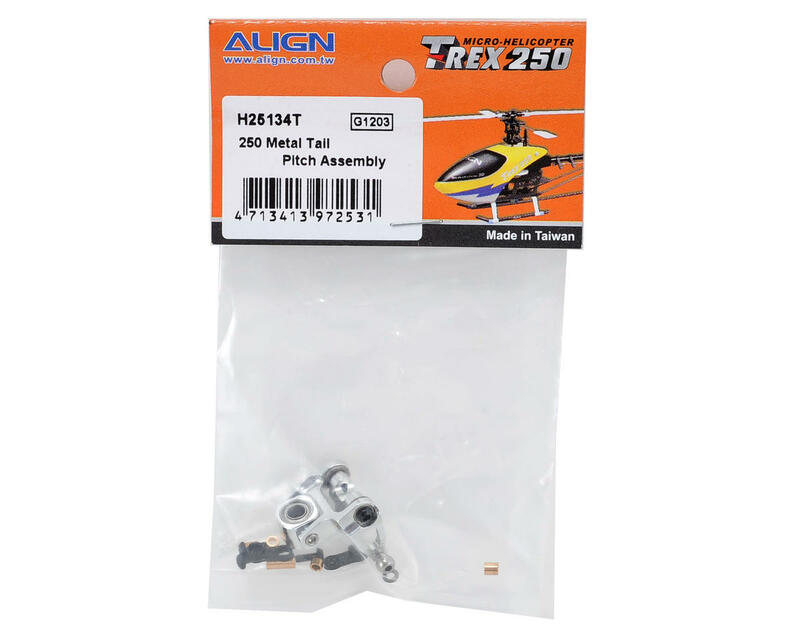 This assembly is also an option part for the Align T-REX 250 helicopter kit equipped with the Align Metal Tail Torque Tube Unit (AGNH25129). This tail pitch assembly uses CNC 6061-T6 Aluminum and ball bearings offering improved rigidity to the 250 tail, providing a more precise and smoother rudder feel.